Additionally we’ve been sent some photos from the demonstration. Well done Cornwall Protect and all those who went along. So far the press seems to have missed the point and reading the comments section it seems as though a wind developer and Fiends of the Earth tried to high-jack the event. 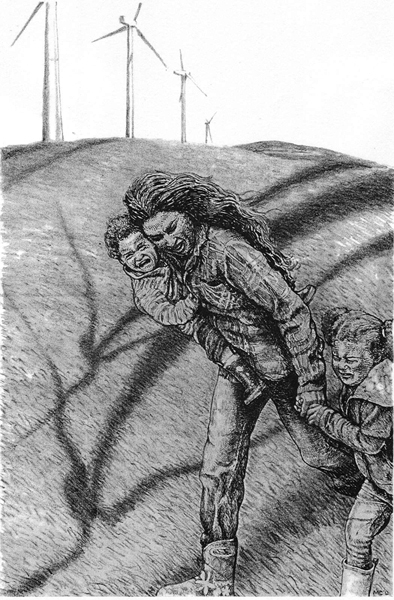 Dirty tricks – sounds about right for the wind industry. 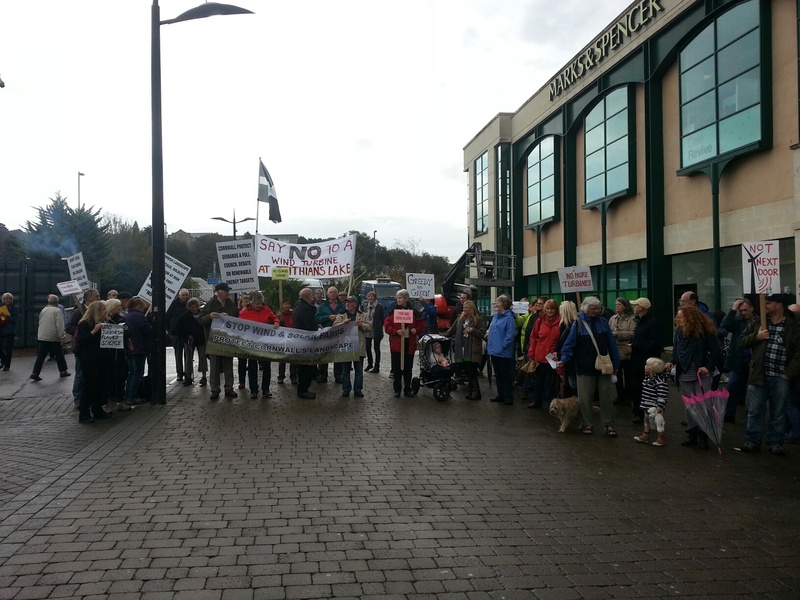 “Campaigners for and against wind turbines and solar energy came face to face during separate demonstrations on Truro’s Lemon Quay. 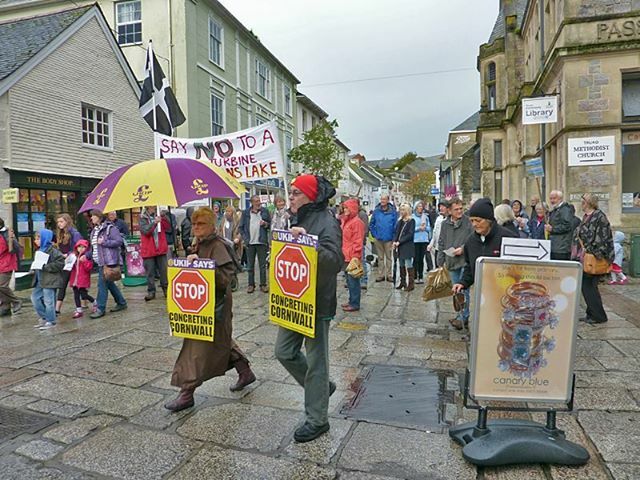 Residents from across Cornwall, including members of the Green Party and Friends of the Earth, turned out carrying placards carrying anti and pro renewable energy messages. 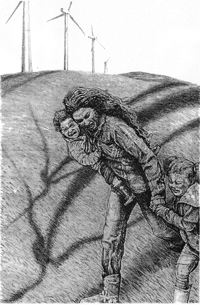 Those joining the rally against such schemes claimed they were ruining the county’s unique landscape.